This new tape brings together a whole bunch of our favourite flavours: it's on Shake Records, it was recorded/produced at Lorrie Matheson at Arch Audio and it's, uh, Napalmpom. 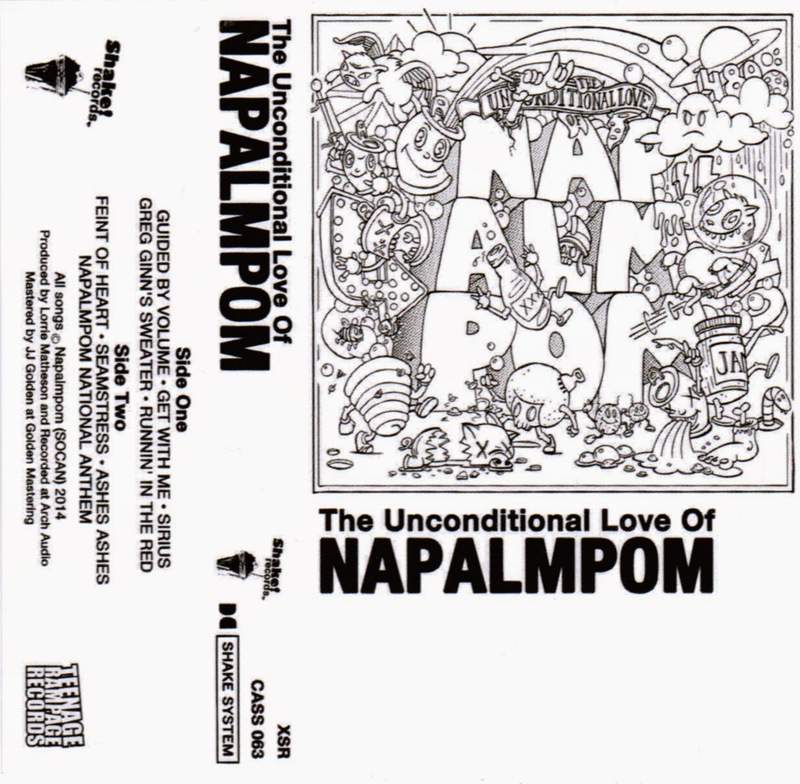 We're super happy to have this in our hands - Napalmpom has been slowly teasing us with this album over the past two months, giving previews of tracks and then taking them away, claiming that their album will be available "soon." Despite that, it's hard not to like these guys. There's something infectious about their stage show and their songs - from Shawn Petsche's lost-in-the-moment guitar antics to the mischevious glint in PJ Lavergne's eyes (which you can almost HEAR on this tape), this quintet take their riff rock seriously but not themselves. Plus, the songs are pretty darn catchy - and Matheson's production of them is top-notch. Get the tape from Shake, or wait another month or two to get the record. Great shirt on Peej in this vid!